Gucci continued their modern day dandy look for Autumn Winter. Frida Giannini kicked off the brand’s 90th anniversary year with a fur and leather extravaganza that included both crocodile and ostrich hides. A light colour scheme dominated throughout, although there were a few aubergine contrast colours involved. The 70s vibe from last season prevailed through tight suit jackets with big lapels and pockets stitched onto the jacket, and a subtle flair to the trousers. Full-on fur coats impressed, but less attention-grabbing outerwear, such as corduroy pea coats, were equally beautiful. 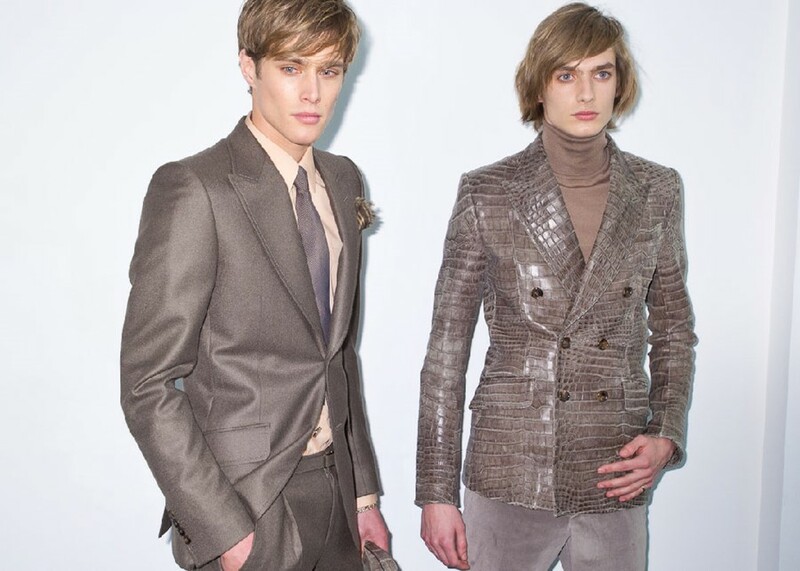 The suit jackets, an area in which Giannini is a master, also sported suede elbow patches and distinctively defined shoulders, giving the models an air of sartorial supremacy. But in the end it was the elaborate fur coats that made the strongest impression and they made our entry out back into the cold Milan afternoon even more painful. Dazed Digital: What influenced the collection? Frida Giannini: The first event of 2011 for the anniversary and I’m proud to present the new dandy who mixes vanity with tradition, and it goes well with the Gucci heritage. DD: What kind of fabrics were you using? Frida Giannini: A lot of British fabrics, but also gabardine, cashmere, flannel and other fabrics that were designed especially for us. Frida Giannini: The Mongolia coat!